I've been on this mission recently to clean out unnecessary things in our home. One of which includes my makeup stash. I have 4 tubes of mascara in there and it got me thinking... "How long should I keep these?" Mascara has the shortest life span of all make up because the risk of transferring bacteria back and forth from your eye into the mascara tube is so great. 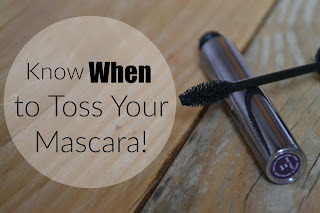 The truth be told, most women keep their mascara for far too long! If you have had it for 90 days. If you have had an eye infection. Never sleep in your mascara. 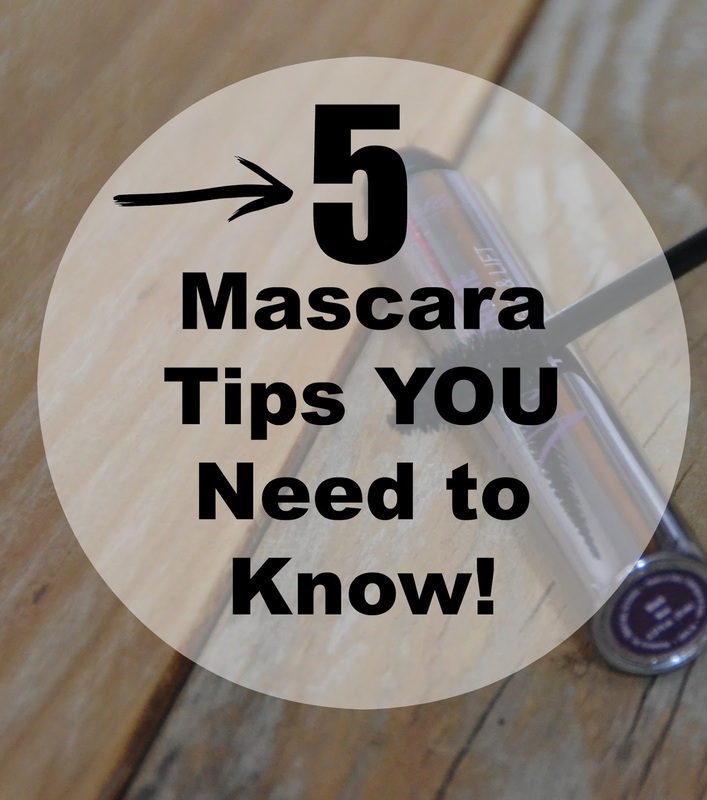 It can make your lashes stiff and more likely to be brittle while your tossing and turning causing breakage. 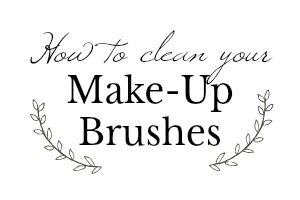 Do Not Pump the mascara brush. 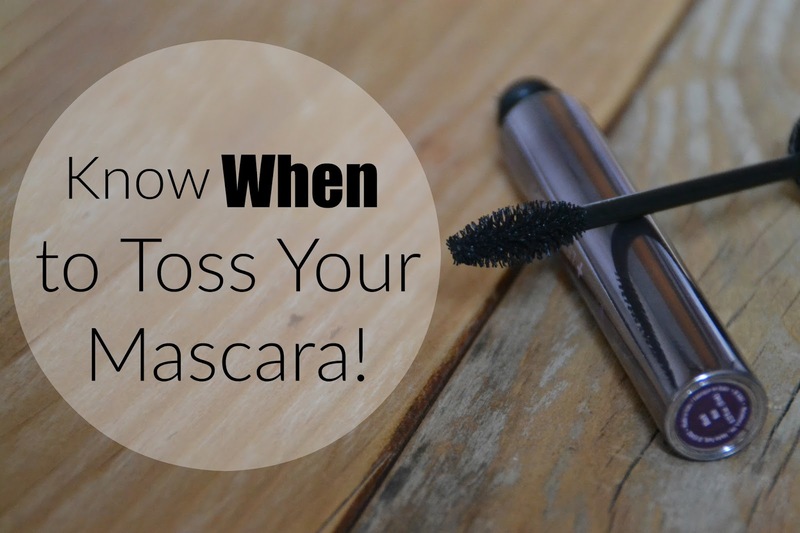 It simply pushes air into the tub causing the mascara to dry out quicker. Use a Primer. Lash Primers thicken the lashes before you apply mascara allowing you to have the best results. Heres to beautiful, healthy lashes! The Tools You Need to have Success While Working from Home! 10 years ago this month I started working from home! It has been an incredible journey that Im thankful to be on. 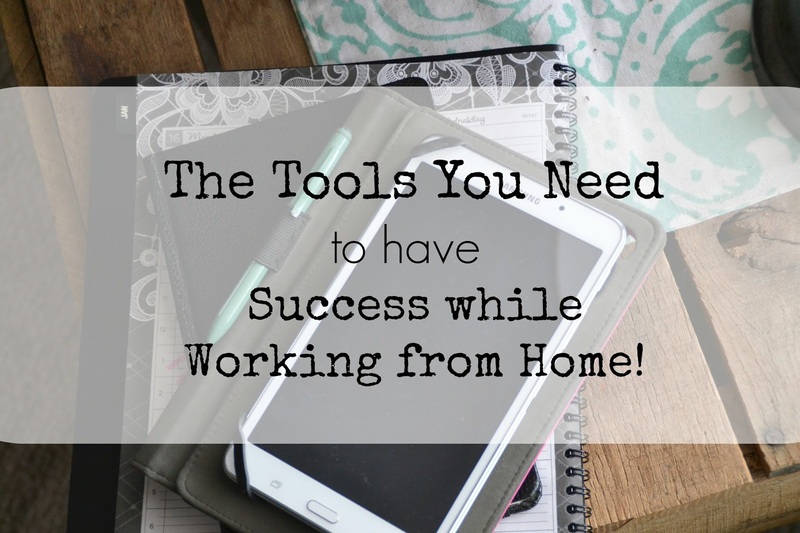 No matter what business you are apart of or looking to do these tools will help you in your success! 1. A Day Planner! A must for me is my day planner. I use it all of the time for organizing my schedule. If you are wanting to be successful in business you need to make it a part of your life and calendar out action. 2. High Lighters! I use my highlighters daily. You would think this is a silly accessory but it truly helps me to calendar out my days knowing when Im doing income generating activities vs. family activities. 3. Tablet/Computer/IPhone! Technology is such a helpful part of business! I use my tablet all of the time. 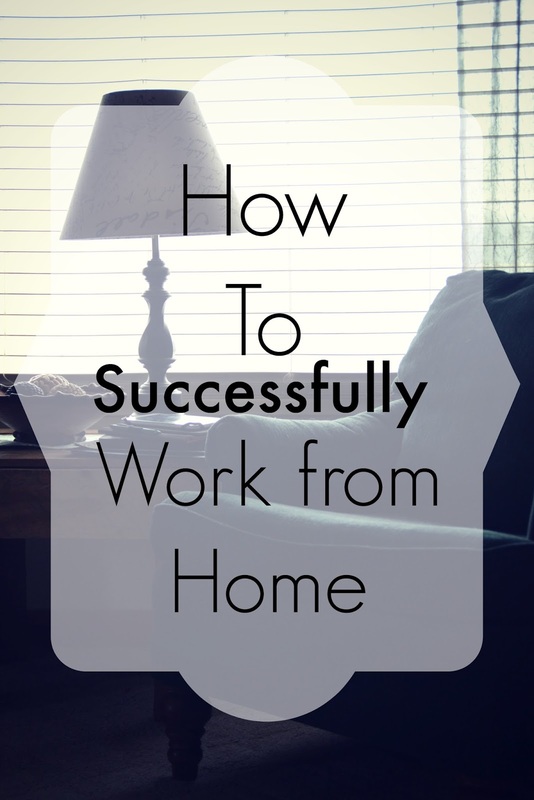 It allows me to work from anywhere in my home allowing me to be mobile and I love that! A good phone is a must as well for moments when your not at home but still need to be available to your team and business partners. 4. A contact book! A contact book is a piece of your inventory that doesn't cost you much but is crucial. Its so important to have a ever growing list of your contacts. Make notes next to their name, their contact info etc. This will be a great tool as you look back over your career. 5. Education! Be open to educating yourself! Without growing your knowledge you are like a bump on a log. Just as the internet has changed over the past 10 years so has business. There are always the same steps in building a business but the way you execute needs to be modified at times. Be open to learning new things! If your looking for a free resource check out this webinar! Its coming up on the 18th at 9:30 p.m. EST. 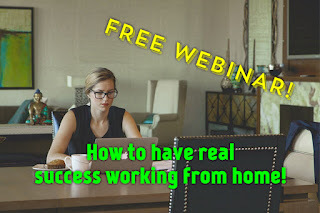 Youll learn what to look for and what to avoid with respect self employment & ANY home business "Mark " will be our host and is an Eight Figure, Multi-Millionaire Entrepreneur, Speaker and Success Coach! JOIN US! It's free and fun! Reserve your seat here!!!! 6. Organization! An expanding file for business reports etc or a three ring binder to keep your documents in order is a simple investment that will help you to keep all of your business needs in one place. 7. Support System and Team! Work with others who are there to support you daily as you move your business forward! Have an accountability partner. That might be someone in your household or it might be a mentor or team mate. The key here is to make sure you have those around you who will help support and lift you up as you move your career forward. I know I would be lost without my Team! 8. Know Your Why! Your Why needs to shake you to your core. You need to know why your business is important to you. Why you love it and what its going to do for you and your family. A dream board is a great way to visually see your why! One last tip that has helped me to grow, SHUT THE T.V. OFF! The latest episode of The Bachelor or catching up on The View are a few things that are not helping your business. 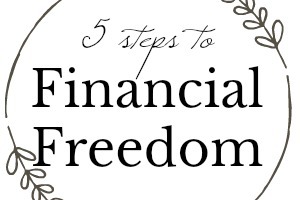 Prioritize your goals, your why and where you want to be in life and your career. 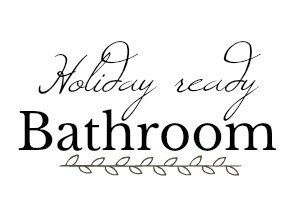 We seem to be in the in between season of holidays and decorating. But I needed to change things up a bit today. 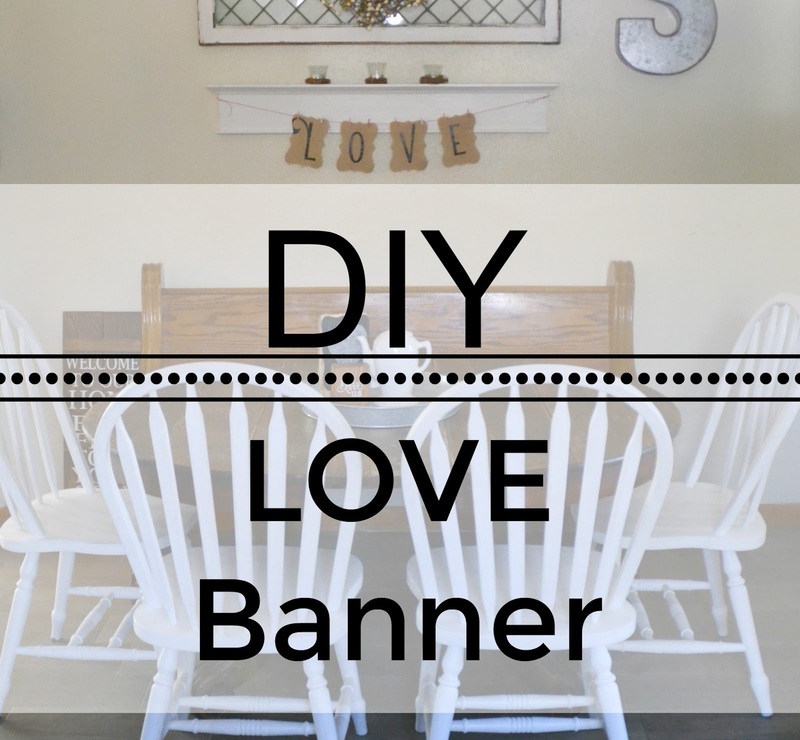 I made this super simple LOVE banner to hang above our table. 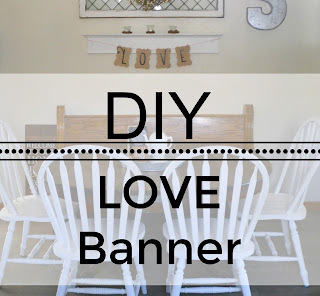 I purchased these burlap pieces that we're already cut from Hobby Lobby some months ago. Be sure to print off or use the code on your phone for a 40% off coupon each time you go. 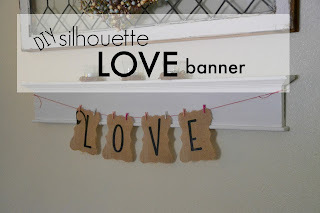 I used my Cameo Silhouette to cut out the LOVE letters onto vinyl and placed them on to the burlap. Hung a piece of jute twine and used some little clothes pins to hang it. May you find a little time to be creative today my friends! 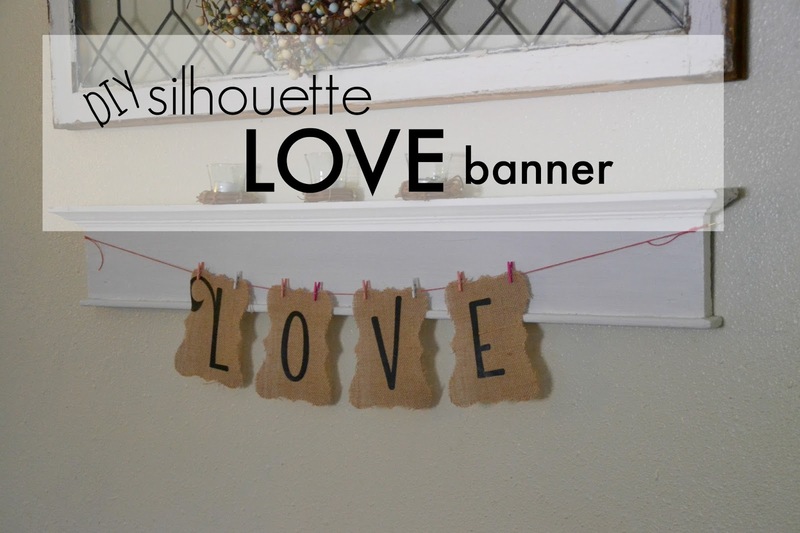 Looking for more creative ideas? Head over to The Dedicated House and join the link up! 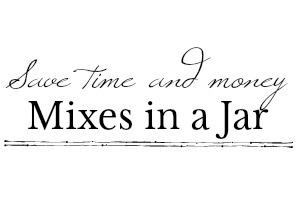 And today I spent a little time in the kitchen preparing some go to mixes that I find we use often. By taking 30 minutes to prepare these 10 mixes I'm saving myself some valuable time in the kitchen! My days seem to fly by at times as I'm working so the more simplicity and planning ahead I can do the better! 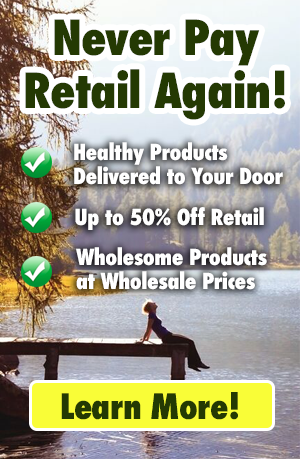 Not only does it save on time but there is some remarkable savings in the pocketbook as well. 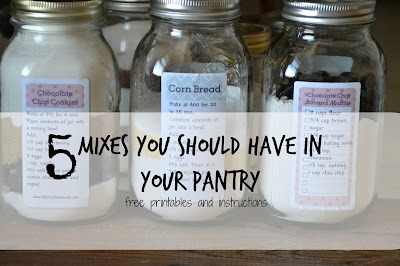 I made 10 mixes with ingredients I had on hand. 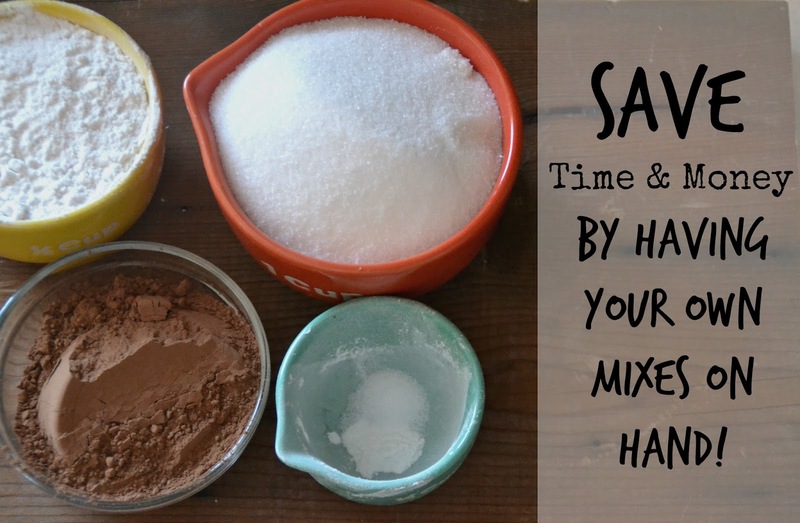 The beauty of this is your able to control what goes into your jar, no extra fluff that might be in the prepackaged stuff. Step 2: Assemble your ingredients. If you have them all out in once place it goes much quicker. Step 3: Pour ingredients into jars. 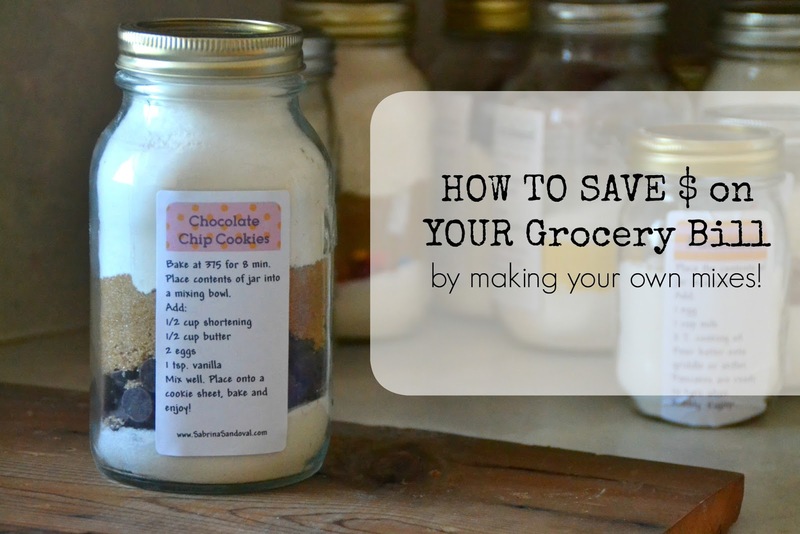 I used a jar funnel to make the process less messy. Step 4: Place labels onto jars. To print off your own labels simply left click the image and save it to your computer. Then print off onto 2" x 4" labels. I personally used Avery white #18163. 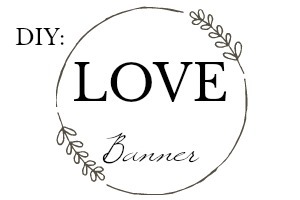 If you would like the printable to be emailed to you please leave me a comment below, Ill gladly send them your way!